Caitlin McCarthy received her Master of Fine Arts in Creative Writing from Emerson College. An award-winning screenwriter at international film festivals and labs, Caitlin has two feature films in development: “Resistance” with Populus Pictures; and “Wonder Drug” with actor/producer Alysia Reiner. In addition to screenwriting, Caitlin serves as an English teacher at an inner-city public high school. 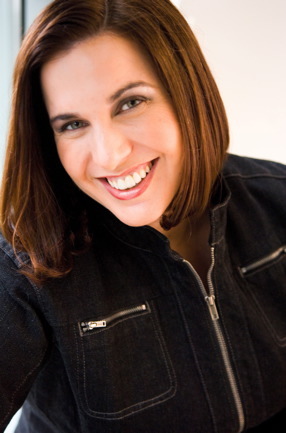 Prior to education, Caitlin worked in public relations, where she fostered relationships with the press and crafted messages for companies that were delivered worldwide. 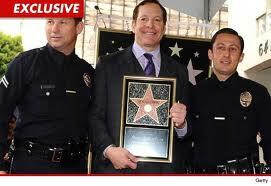 Hollywood icon Steve Guttenberg earns a STAR on Hollywood Boulevard this week; in this post from our files, Caitlin looks back on her experience with one celebrity not in disgrace. I lead a schizophrenic life. By day, I am an English teacher at an inner-city vocational public high school, where over 60 percent of the students are on reduced or free lunch. 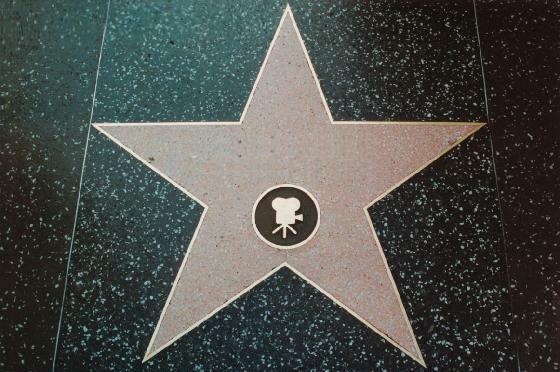 By night, I am a screenwriter with a project – WONDER DRUG – in development with actor/producer Alysia Reiner. 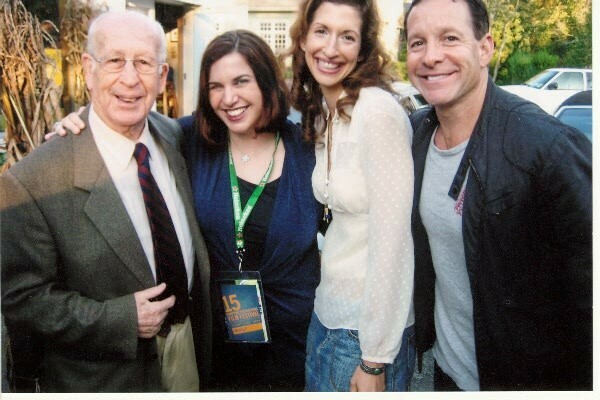 WONDER DRUG scientific advisor P. Harry Jellinck; screenwriter Caitlin McCarthy; actor/producer Alysia Reiner; and movie star Steve Guttenberg. We met at the Hamptons International Film Festival, when he starred in a live staged reading of my screenplay WONDER DRUG with the amazing actress Alysia Reiner (SIDEWAYS).